It’s sweltering just about everywhere in the lower 48 this week, just in time for us to launch some rockets and break out the BBQ for July 4th (heck, they’re even baking cookies on dashboards in Phoenix). 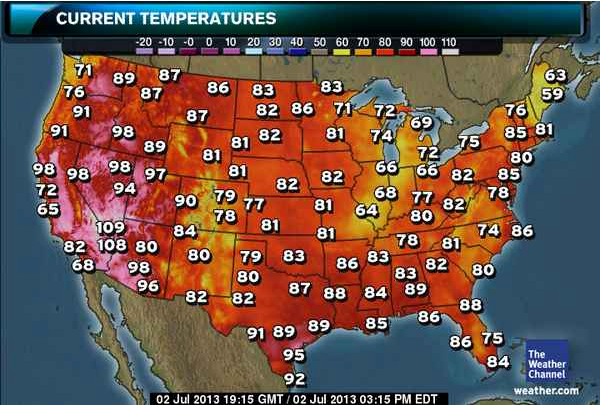 And in places where every home doesn’t have AC, it’s getting downright unbearable. So we figured we’d do our part to help folks find relief, and collect a few of the great projects we’ve written or seen around the Internet to inspire you to take personal cooling into your own hands. If you have your own ideas or links to other projects, please leave them in the comments! Can You Really Beat The Heat With a $20, D-I-Y Air Conditioner?